“Wanna be on top?” are the first words you’ll hear during the opening theme of the popular modeling competition America’s Next Top Model, hosted by supermodel Tyra Banks. It’s a question asked of the show’s contestants who’ve entered the competition. The show has just wrapped up its 24th season and is the longest running fashion reality television series. Models come onto the show, participate in challenges and photo-shoots and put in their all to avoid an elimination (there is one every episode until the winner comes out on top). ANTM has seen its fair share of aspiring models come and go, many with their foot in the door of the fashion world due to their exposure on the show, but the top winner of ANTM usually receives a modeling contract, a spread in a magazine and a $100,000 campaign. Yes, being at the top of the modeling world would be quite a feat, but of course even landing a spot in the competition is a huge accomplishment. And that’s exactly what Brittany Hymes just did. 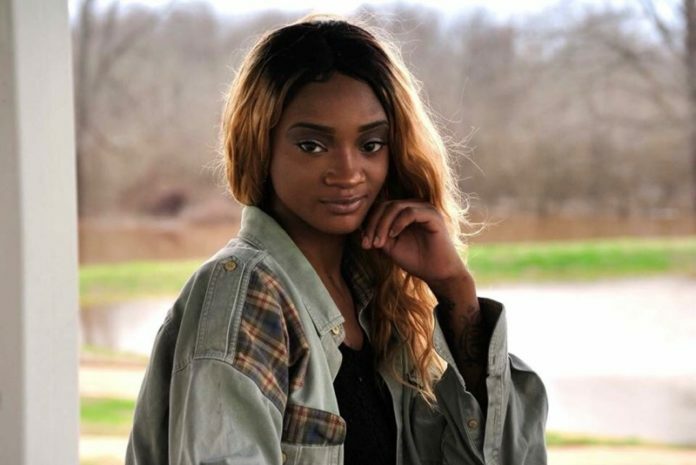 Hymes, 22, has lived in Natchitoches her entire life and has been interested in modeling since she was a little girl. “I have always wanted to be like Tyra Banks and Naomi Campbell and have the confidence they exude when they walked. The way they commanded attention as they strutted down the runway made me wish I was that confident,” said Hymes. She said she used to get picked on and it was a blow to her self-esteem. “As I got older, I threw away those feelings of insecurity and low self-esteem. I am confident and bold now because I’ve taken chances on things I used to be too afraid to do. Now when I strut down the runway, I channel my inner Tyra and I own it. I command that same attention that I once used to think was too hard to get ahold of.” Shaking off her past insecurities has come with its risks; the first taken at age 17 was “the big chop,” which is cutting off relaxed hair to allow natural hair to grow. Auditioning for the competition was something she always wanted to do, but it’s hard taking that first step. As she scrolled through her Facebook feed one night, she came across an advertisement by Preview Models looking for talent in Lafayette. “I signed up, not really thinking anything of it,” said Hymes. “ I got an email saying they liked my look and asked me to come to Lafayette.” Ready to take that next step, she made plans to go there March 3. She said she has done photo-shoots but this was the first time she has done something this bold. With only 20 spots in the competition and up against over a thousand other aspiring models, she was shocked. “Go out there and do your best. Worst case you don’t make it, you still set a huge milestone for yourself,” she told herself. “The next step for me is to smash the competition as humbly as I know how and make the world know what Natchitoches is in all of its glory.” Hymes said she wants to bring back many new opportunities for the city. Hoping to gain connections in industries such as fashion, production, music, acting, singing and more, she aspires to have annual events where big names come to Natchitoches and give back to her people.